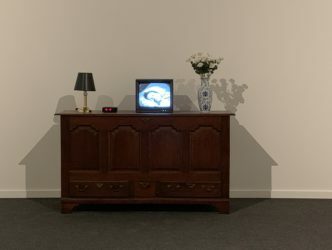 A single exhibition is not enough to form a definitive opinion of an artist. 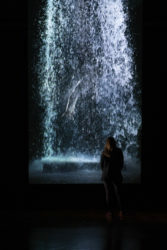 The American artist Bill Viola (born in 1951) is known as one of the major figures and the great pioneer of video art. 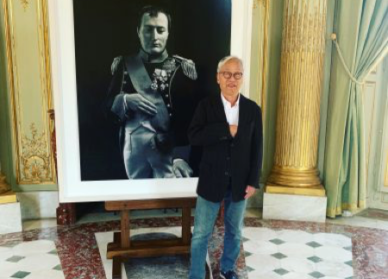 Yet his retrospective at the Grand Palais in Paris in 2014 presented a tacky image of his work. On huge screens and using slow-motion dramatic effects, it dressed up peplum film clichés in the style of Cecil B. DeMille. To dispel this image, between now and 31 March you must pay a visit to the Royal Academy in London. 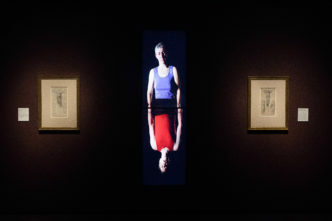 They are displaying 12 monumental works made by Bill Viola between 1977 and 2013 paired with 15 drawings by Michelangelo (1475-1564), 12 of which belong to the Queen of England. The show has been skilfully orchestrated by the head of drawings at the Royal Collection, Martin Clayton. 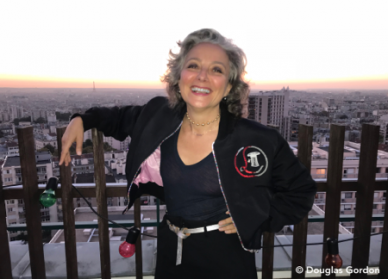 Clayton, who oversees a vast array of works including, among others, 500 drawings by Leonardo da Vinci, has developed a particular sensibility for contemporary art in parallel with his fascinating scientific knowledge of the Old Masters, which is in full force with this project. 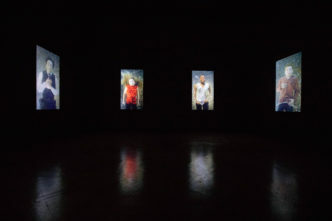 The unifying theme is indicated in the title of the show: “Life Death Rebirth”. 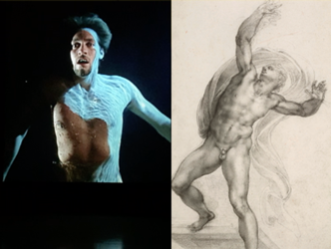 “My goal wasn’t to present Michelangelo as a precursor to Bill Viola but rather to use Bill Viola to help people understand who Michelangelo really was. The exhibition features extremely well finished sketches that weren’t conceived as preparatory studies but rather as works in their own right, which the artist would offer to those close to him. Giving shape to emotion. 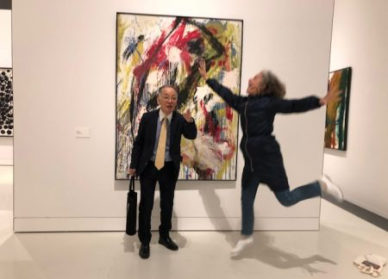 That’s the goal of these two artists. This is the case in Michelangelo’s “Virgin and Child” from the 1540s, in which the mother is compulsively embracing her baby. The Renaissance painter, who lost his mother when he was 6 years old, is trying to recapture the sensation of his childhood. 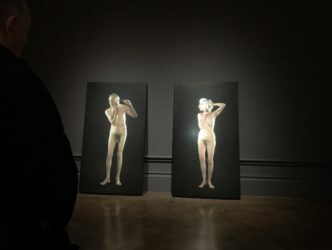 When he draws a series of crucifixions nearly 20 years later, he conceives them as part of a spiritual exercise: “a meditation on the soul and the body with a shaded area around Christ’s corpse. He talks about it clearly in his letters,” highlights Martin Clayton. 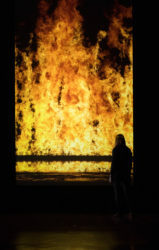 The most striking work by Bill Viola, which visitors remain “glued” in front of, forgetting the drawings by the great Renaissance master in the same room, is the Nantes Triptych from 1992. 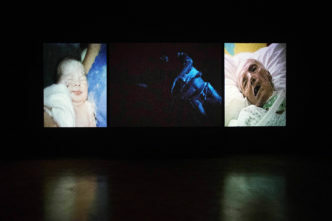 Across 12 metres the Californian artist depicts the three stages of life in three films shown side by side, featuring images from a birth at one end while at the other an old woman lies suspended between life and death in her hospital bed. 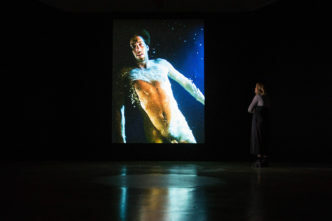 Until 31 March, Bill Viola Michelangelo. Life Death Rebirth. 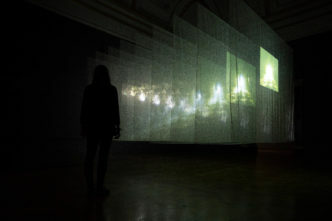 www.royalacademy.org.uk.